In December 2014, 300 million monthly active internet users have been reported to be on Instagram. 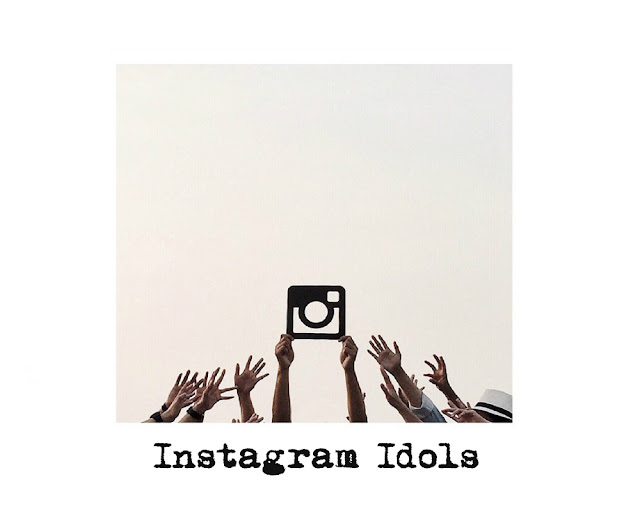 Though some numbers are debatable, Instagram ranked 4th and tied with Pinterest as the most visited social medium in the Philippines in early 2015, next to Facebook, Twitter and Google Plus. It's just me maybe or the kind of visual friends that I have, Instagram successfully became our favorite social site. Checking my phone usage for the last 30 days, Instagram has eaten up 37% of my phone's battery life. IG is followed by the Facebook Messenger app which I access 24% of the times. Facebook's 11% is not even half. What most of us actually do while on the Instagram platform is browse our own feeds. You bet I always have something new to view every minute since I follow 1,673 IG users! If it's accurate that Filipino IG users upload an average of 2 photos a day, then it would make sense that there are 2 to 3 new posts on my feed every minute. Of course there are conversations on the comments section that we need to attend to and there are 15-second videos that we have to wait to load. Then there are uploaders whose photos would wow us that we are glued, staring at the photo for a long time. I get this a lot since I started scouting for the best Instagrammers in the country. It was hard at first but I had picked 10 of my favorite Instagrammers. There are a lot of amazingly talented people on this social platform so you can suggest some usernames and even your own list at the comments section below. For now, here are the 10 Instagram pages (in random order) that I highly recommend a follow! P.S. Click on their usernames to be routed to their IG pages! Ever wonder why some people are so good at putting things together but when you try it, yours just end up a mess? Styling is one of the most important skills in photography and Instagram has taught great lessons to its users. The last 19 posts of @magicmikechua all deserve their own billboards in EDSA. For fashion and beauty tips done in a collection of creative shots (I know I chose food for her sample), your girl @jelinecatt is a must-follow! @marvinconanan and @jelitodeleon both have this love affair with random moment shots. The difference is Marvin prefers dark shades while Jelito likes white backgrounds and well-lit subjects. If you want black and white dramatic images, Marvin has an awesome collection on his feed while if you want to learn more about styling, Jelito's feed will teach you how to pull some tricks. Woke up missing the beach so bad today? 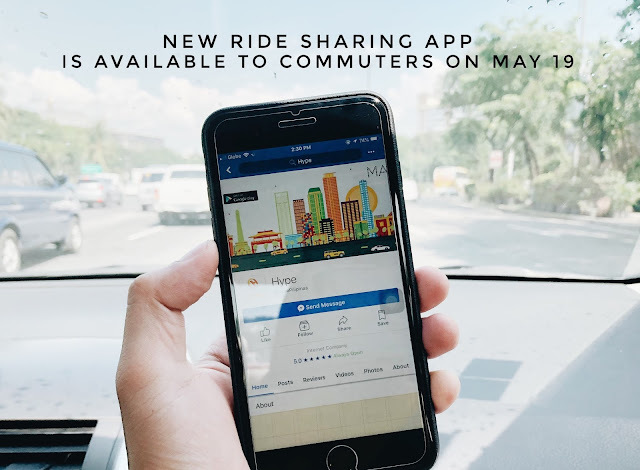 @thomascaja and @rayniyel's will take you there without the need to travel. Their collection of landscape photos of mountains, sea and the forest remind us to be more gentle to Mother Earth. Staircases, bubbles, coins and used cups; not typical photo subjects but @jephunneh_ and @pierreguevarraa are capable of translating these objects into superstars of their masterpieces. 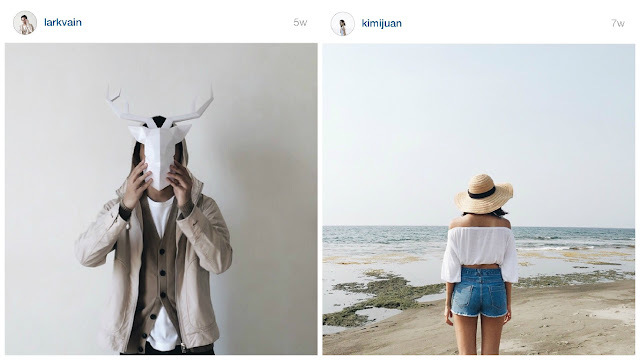 If you find most Instagrammers decreasing contrast and de-saturating their photos, these two will show you a different palate of Instagram wonders. Brown, black, white and gray, @larkvain's feed is full of emotions even with his reluctance to use happy colors. The same for fashionista @kimijuan, she proved that we don't need to be vibrant to convey high fashion and happiness. Curves, lines and shapes allow their photos to make you long for summer, miss the old happy place, and shop.